Sushi Mike Reviewed by Edgeville Buzz on April 24, 2010 . If you have yet to experience Sushi Mike, you’re missing out. 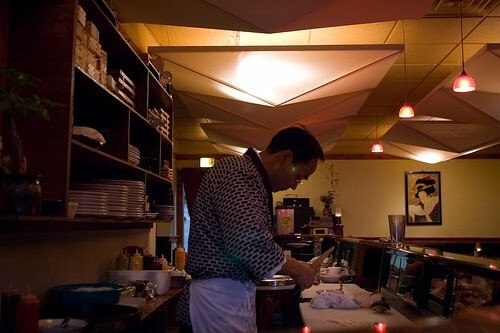 Check out this article featuring the sushi chef and Tanoshii (5547 N Clark) from A.V. Club – Chicago. We agree with their writeup – menus are for amateurs.